Mysuru: A bakery employee was assaulted by a youth for asking money for the pastries he had consumed on May 29 night. The incident took place at Bake and Joy Bakery at the KSRTC Bus Stand in front Yelwal Police Station. While the assaulted bakery employee is Nazir Ahmed, the youth, who assaulted him is Santosh, an autorickshaw driver. 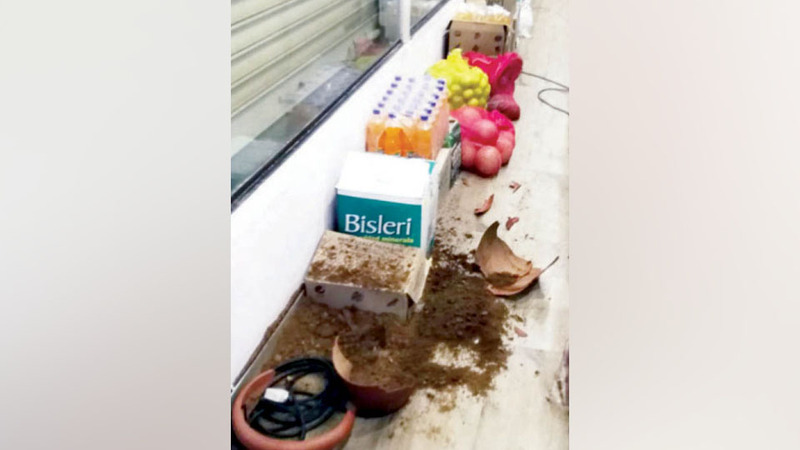 Santosh not only assaulted Nazir but also vandalised the bakery by breaking flower pots, furniture and glass panes of showcases. On Tuesday night at about 10.15 pm, Santosh, who came to the bakery, ate bun, biscuits, and cake. But when Nazir asked for the payment, Santosh threatened him by saying “Do you know who I am? How dare you ask me for money? I will destroy your bakery,” according to the complaint lodged by Mustafa, owner the bakery. But when Nazir insisted on payment, Santosh, in a fit of rage, picked up the flower pots and broke it besides assaulting Nazir. Santosh then threatened the bakery staff by saying that they cannot run the shop if they go against him and left the bakery without making the payment, the complaint stated. Meanwhile, Mysore Hotel Owners Association President C. Narayanagowda and office-bearers, who visited the bakery yesterday morning, collected information from the bakery owner and staff and later lodged a complaint at Yelwal Police Station. Meanwhile, the Yelwal Police, who did not realise the seriousness of the incident despite it taking place right in front of the Police Station, registered a case yesterday morning under Sections 504, 506, 324 and 427, following instructions from the higher officials and have launched a hunt to nab the absconding accused.